IT is one of the most remarkable educational establishments in Ireland where pupils face daily hurdles infinitely more challenging than tough homework or playground politics. Since it was founded in South Belfast back in 1956, Fleming Fulton has strived to provide a full and rewarding educational experience for pupils with both physical disabilities and learning difficulties. So popular are the state-of-the-art facilities and education programmes, that the school attracts over 130 pupils from right across the North keen to learn in an environment sensitive to their needs. 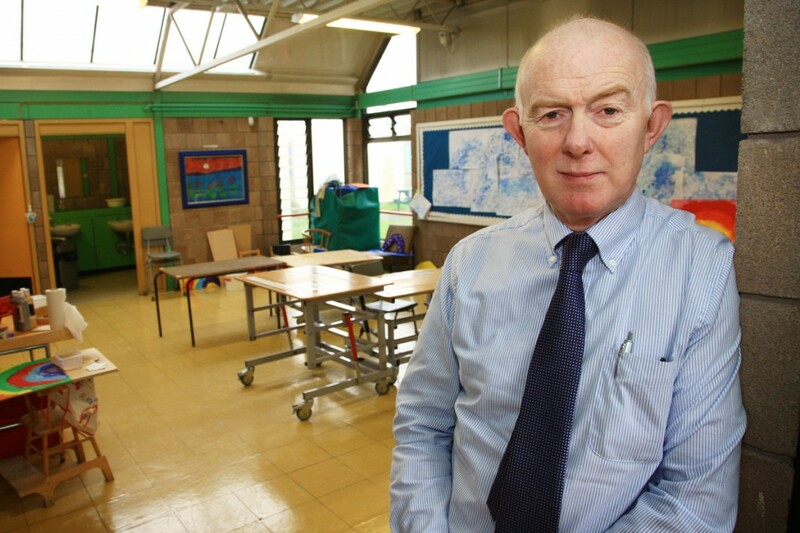 In an interview with the South Belfast News, acting principal Eddie McGlinchey spoke of both the school’s proud history and its exciting future, particularly in regards to Fleming Fulton’s nursery facilities. “I’ve been here for 21 years now, 10 of those as vice principal, and was here to celebrate the 50th anniversary milestone in 2007 which was a fantastic period for the school,” he said. “As well as providing education from Primary One to GCSE level, we offer our pupils a full range of therapies to meet their needs. “However what we really wish to highlight this year is the nursery, which it appears many parents don’t even know is available. “This is a shame, because early intervention for children with learning difficulties and disabilities is absolutely essential. It’s a great opportunity for them to socialise and play together in an environment suitable for their requirements. “Meanwhile, before they attend we even have a teacher come visit the family home to explain the facilities and how they benefit them. It’s a preparation period for parents as much as their children so they can make an informed choice for their son or daughter. This professional care for pupils is a legacy of the school’s founder Ann Martin, better known as Nancy, who used her experience of caring for young people in both Scotland and Australia to found what was originally called Mount Collyer. Awarded an MBE in 1996, Miss Martin was an inspirational leader and principal who oversaw care for the first 23 pupils, 11 of whom were in wheelchairs, seven who had “little use” of their hands, and the rest with severe speech defects. The school has since evolved, including a name change to honour Dr Fleming Fulton, who pioneered the School Medical Service in the first half of the 20th Century, and who became Chairman of NI Orthopaedic Services. Now it stands proud as one of the most recognised names in special education and boasts some famous past pupils, including renowned professional artist Billy Campbell, whose cerebral palsy means he paints his stunning watercolours using a special headset. Meanwhile, Fleming Fulton is preparing for its annual Health and Wellbeing Day which offers pupils and parents a huge range of advice from visiting professionals who prepare informative seminars alongside fun activities including cooking demonstrations where the pupils are encouraged to get stuck in. “It’s an exciting day and we’re very much looking forward to it and welcoming actress Olivia Nash along to officially open the day’s activities,” Mr McGlinchey added.